George Ronald, 1950, Hardback in Dust Wrapper. Condition: Very Good — in Poor Dust Wrapper. Unlaminated dust wrapper a little edgeworn and faded with loss at the spine ends and a generally grubby appearance. Boards faded at the spine ends. Edges of the text block lightly spotted. Text complete, clean and tight but a little age-tanned. 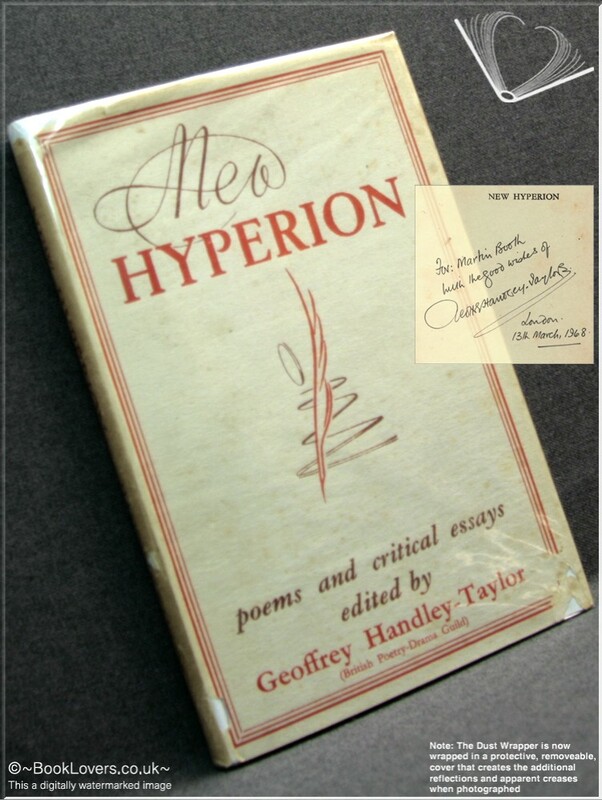 Signed by the author on the ½-title page — unverified and reflected as such in the lack of premium. Vol II in the series. From the cover: “Geoffrey Handley-Taylor, Founder and chairman of British Poetry-Drama Guild, is one of the country’s most versatile and active creative artists. His books and critical commentaries on the ballet and kindred arts have already earned him wide recognition. His lecture tours keep him constantly before appreciative audiences and are becoming a well-known feature in the cultural life of the British Isles. As Vernon Noble commented in a B.B.C. programme in 1947, ‘He has built up an international reputation, especially distinguished, and when he is not travelling round the world he may be found residing in the City of York’. York is the home of British Poetry-Drama Guild, a voluntary organisation which promotes cultural activities throughout Great Britain and overseas. Its membership includes many famous writers and artists. Size: 7½" x 5". Blue boards with Gilt titling to the Spine. In the British Poetry-Drama Guild series. 88 pages.